Glenties Community Playgroup Limited Extension of services. Registration for our new wobbler/toddler room. We are extending our services and are expecting to be open at the end of January 2019. Registration of young children from 1 year upwards will take place in the playgroup building on Monday, 7th January 2019 at 8pm. . Anyone wishing to enrol their wobbler/toddler please come along and meet with the early years practitioners. Please bring evidence of your child’s PPS number and record of immunisations to date. If you require any further information we can be contacted on 074 95 51907 and ask for Kellie or Bridie/0877570857. Due to the great numbers of people from near and far who prayerfully attend the Graveyard Prayers during the summer months and after reflection, I propose having Graveyard Prayers and Blessings in place of Mass as has been the case up to now. This change will bring us in line with most of the neighbouring Parishes and is being done as a means to prioritise Health and Safety. This is particularly relevant due to the great numbers, especially the large portion of elderly people who attend. I hope that you will understand the rationale behind this change and thank you for your understanding. It is hoped to take a group of young people from the Parish of secondary school age, from 3rd year upward, on a one day pilgrimage to Croagh Patrick, Co Mayo on Thursday 25th April. After ascending the reek, we hope to have Mass on the summit in the Oratory Chapel. There would be time to stop for a meal on the return journey. The cost of the transport would be a parish cost with each person paying for their own meal. Each person under 18 years wishing to take part must complete a “Child Consent Form” and parents/guardians a “Parental Consent Form” which are available in the Parochial House. Upcoming Activities at the Downstrands Family Resource Centre, Portnoo. Activities for 2019 include Yoga, Nutrition & Fitness, Creative Writing, Piloxing, Knitting, Creating Happy, Art for All, Patchwork, Archaeology, Feng Shui, Stress Control, Safe Talk and Introduction to Grow. Children’s Activities include badminton, basketball, judo and Bricks 4 Kids. Grinds for Leaving Certificate start this Saturday, 12th January in the Hub Youth Centre. For more information or to book a place, please do not hesitate to contact the office on 0749545879. (Leaflets can be obtained in the health centre, the post office, The Highlands Hotel and Glenties Service Station). Bingo every Tuesday night at 9.00pm Jackpot €13,300 on 45 numbers €300 paid out if over 45 numbers. Circuits class every Tuesday & Thursday @ 6.30am for more information contact Conor 0874267718. Farren School of Speech and Drama Thursday 5-6pm in Community Centre for more information contact Anna 087 7704155 or visit www.farrenschoolofspeechanddrama.com. Tai Chi Wednesday 8.00—9.30. Bowls Mondays and Fridays 8.00—10.00. Weekend 31st December, Offertory Collection amounted to € 315.00. Thank You. Last Week’s OFFERTORY COLLECTION Amounted to €325.00. Thank You. Glenties Community Playgroup Limited Extension of services. Registration for our new wobbler/toddler room. We are extending our services and are expecting to be open at the end of January 2019. Registration of young children from 1 year upwards will take place in the playgroup building on Monday, 7th January 2019 at 8pm. . Anyone wishing to enroll their wobbler/toddler please come along and meet with the early years practitioners. Please bring evidence of your child’s PPS number and record of immunisations to date. If you require any further information we can be contacted on 074 95 51907 and ask for Kellie or Bridie/0877570857. Fintown Harps AFC 50/50 Draw €2 a ticket or 3 tickets for €5. Draw will take place the last Thursday of every month. Tickets are on sale in local businesses in Glenties, Fintown and Doochary or ask any player. The winner of the Fintown Harps AFC draw of €350 was Mairead McMillan, Fintown. 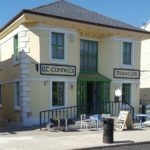 The following Course for Adults will be commencing in Donegal Town provided by Donegal ETB Adult Education Services in January 2019: Practical Computer Skills with IC3 Digital Literacy Certification. Friday 10am to 2pm. For further information contact 074 9725520. Margaret Connell, THE FOOT CARE PRACTITIONER, will be in the Day Centre on Monday 7th January. To book an appointment call 087 1417180. Anam Cara Donegal, the organisation that supports bereaved parents, is holding a Parent Evening on Thursday 10th January at 7:20pm in the Radisson Blu Hotel, Letterkenny. This event is free and open to all bereaved parents regardless of the age your child died, the circumstances of their death, or whether their death was recent or not. Tuesday 8th – Ard Connell, Main Street, Tullyard Road, Dr McCloskey Crescent, Stranaglough, Meenalargan, Altar, Ard Patrick. Wednesday 9th – Stonepark, Mill Road, Derries, Kilraine, Drimnacrosh, Tullyhoniver, Narin Road, Loughcrillan Road, Letterilly, Maas, Mulnamina, Gortnsillagh, Drimnasillagh, Buncrobog. Weekend 23rd December, Offertory Collection amounted to € 330.00. Thank You. Adoration of the Blessed Sacrament every Thursday after 9.30am Mass to 6pm in the small Chapel. CONFESSIONS FOR CONFIRMATION: On Wednesday 31st January at 8pm, (after Mass), there will be Confessions for the young people preparing for Confirmation and their families. Blessed Candles will be for sale following 7.30pm Mass on Friday 2nd and again on Saturday morning and Saturday evening but not on Sunday 4th due to Confirmation. “There are a variety of gifts but only the one Spirit.” – St Paul. It’s good to offer thanks. I would like to acknowledge the Ministry time and effort of all those who minister in different ways in the Church on a weekly basis. Following on meetings with the Ministers of the Word and the Ministers of the Eucharist, I would like to make an appeal for more people to exercise Ministry as Readers and Eucharistic Ministers. To this end boxes are placed in the porch for you to nominate people whom you would consider suitable with their contact details included, in particular an address. These boxes will be available in the porch for weekend Masses and in the Sacristy for week day Masses until Sunday 11th February. Criteria – I would ask that you only nominate parishoners that attend this Church of St Connell. Volunteers are also sought to help clean the Church on a constant basis. If you are interested to give time to this ministry, please contact Fr Gerard. A big clean up of the Chapel will take place on Friday 2nd February at 5pm in preparation for Confirmation. Your help would be kindly appreciated. BLUESTACK SPECIAL NEEDS FOUNDATION: There will be a Church Gate Collection on 3rd/4th February in aid of the Bluestack Special Needs Foundation. GLENTIES CARE OF THE AGED: Collection amounted to €691.00. Many thanks to all who contributed. ENROLMENT PACKS FOR SCOIL MHUIRE, Glenties for school year 2018 / 2019 will be available for collection from the secretary’s office from Thursday 8th February. Forms to be completed and returned to the school by Thursday 22nd February. ENROLMENT AT ST. RIAGHAN’S NS: Parents wishing to enroll their child at St. Riaghan’s N.S., Drimnacrosh for the school year 2018/2019 are invited to call to the school for an Enrolment Form. Forms must be returned to the school no later than Friday 9th February. “Enrolment Day” will be held later in the year. For further information or enquiries, please contact the school 9551591 or email striaghans@gmail.com. HOLY LAND 2018: It’s been a good few years since the parish made a pilgrimage to the Holy Land however this year there is an 8 day guided pilgrimage with Marian Pilgrimages, leaving Glenties on Friday October 26th. Four nights in Nazareth and four nights in Bethlehem. The Spiritual Director has made many visits to the Holy Land, a Scripture Scholar, he will bring the Gospels alive! A deposit of €200 secures a place and instalments will be taken for the balance to spread the cost. Phone Anne on 9551438 for all details of itinerary and to book. Bingo in GLENTIES COMMUNITY CENTRE every Tuesday night at 9pm. January 30th Jackpot €10,000 on 45 numbers or less if not win €300 will be paid out, €100 a house, €50 a line. St Brigid Night Making Crosses on Thursday 1st February in the Community Centre Glenties @ 7.30 p.m. Tea / Coffee and light refreshments served. Admission €5. Proceeds to Glenties Museum. Anybody wanting to book the Community Centre for the Autumn,season please contact 087 2679321 or call to the Community Centre Office between 10am – 2 pm Monday – Friday. THE TRUSTEEE’S OF THE GLENTIES MARKET HALL would like to congratulate Mary Thompson on her recent retirement and to thank her for the work and dedication she has given to the Market Hall over the years and to wish her all the best for the future. READERS: There will be a meeting on Tuesday 23rd January at 7.30pm for all Readers in the Parochial House. EUCHARISTIC MINISTERS: There will be a meeting on Wednesday 24th January at 8.30pm for all Eucharistic Ministers in the Parochial House. RAPHOE DIOCESAN PILGRIMAGE TO LOURDES: There will be a Church Gate Collection next weekend, the 27th/28th January 2018, to help raise funds to take the sick and youth of the Diocese to Lourdes. The Raphoe Diocesan Pilgrimage to Lourdes will take place from 22nd May to 27th May 2018. This will be led by Bishop Alan McGuckian, SJ, with Fr Patrick McHugh ,PP, as Pilgrimage Director. The price per person is €704.00. Poster can be viewed in the porch with full details. DISCOVER LEARNING: Are you an adult interested in returning to education or are currently considering progression onto further study – then this event is for you – Donegal ETB Further Education & Training Fair 2018 – Mount Errigal Hotel, Letterkenny, Wednesday, 24th January 11am – 3.00 pm. Open and free to all adults. A Silver Chain with a small gold heart and a man’s wedding ring has been lost in the Glenties area on Sunday 3rd December. If found please contact 087 2987991. Parent & Toddler Group: Held at the Centre every Tues (during school term) from 10:30 am – 12 noon, everyone welcome. Kids Drama Class: Catie B from the Balor Theatre is back with Kids Drama on Fri 19th Jan 18. 5 – 8 year olds: 3:30 – 5:00 pm and 9 – 12 year olds: 5:30 – 7:00 pm. Cost is €100 per person for 10 weeks (10% discount for families). Book at reception on 074 9741863. Safepass Course: On Sat 27th Jan from 8 am – 5 pm at the Niall Mor Community Centre, cost is €100 per person. Zumba for Kids: Lively and energetic class for Kids to learn exercise/dance moves through music. 6 week course commencing Thurs 8th Feb costing €30 per child. 5 – 8 year old class from 3:45 – 4:30 pm and 9 -12 year old class from 4:30 – 5 pm. Scrabble: Every Monday from 12:30 – 2 pm in the Centre. Cost per person €2. Donegal Women’s Centre, Letterkenny have an outreach service at The Niall Mor Community & Enterprise Centre. For details contact 074 9124985. Weekly Walking Group: Every Wednesday leaving from the Niall Mor Community Centre at 10:00 am, cost is €2 per person and refreshments afterwards. Do you know what the 8th Amendment of our Constitution is? Find out at the launch of Donegal Pro Life’s DVD: “Why we should keep the 8th Amendment” in the Mount Errigal Hotel, Letterkenny on Thursday, 25th January 2018 at 8pm. All welcome. I wish to acknowledge with extreme gratitude the recent generous donation of €2000 from parishioners. This money will go towards the purchase of Stacking Ciboria for the Church. As part of the preparations, a Prayer Petition box will go around each Parish within the Diocese. Glenties will have this from 19th to 25th February 2018. These petitions will then continue to Dublin and the intentions will be remembered during prayers at the World Meeting of Families. 11.00am Hugo McDyer – Months Mind (Main Street) 5,000 Volunteers will be needed for the running of the World Meeting of Families. Over 1,000 have already enrolled. Parish groups, clubs, friends or family members may register as a group. Volunteers will have to be Garda Vetted and need two references. For further information and registration www.worldmeeting2018.ie/volunteer. Due to the death of Louise Furey, the Naomh Conaill Gaa club have decided to postpone the dinner dance, scheduled for this Saturday 27th January, until a later date. The club extend our sympathies to the Furey family and to Louise’s friends at this sad time. Ar dheis Dé go raibh a h-anam dílis. Coaching Courses, 2018. Foundation Award (F) will take place for all South West Clubs in Naomh Conaill GAA Club. Friday, 02/02/2018 at 7.00pm – 10.30pm, Child Ethics. There was no winner of this week GAA Lotto the numbers drawn out were 06-07-21-24 and the 2x€50 went James Mc Kelvey, Fintown & Mary Gavigan, Glen Road. Next week’s Jackpot will be €7,100. Naomh Conaill GAA Dinner Dance will be held in the Highlands Hotel on Sat 27th Jan at 8.30pm. Tickets will be on sale in The Railway inn Fintown and the Inniskeel Co-op Glenties priced at €30 per ticket. Live music on the night and prizes to be giving out to all Naomh Conaill winning teams from 2017. Great night entertainment. If there is anyone interested on becoming this year’s 3rd team manager could they please contact Caroline Breslin ASAP. Closing deadline for this manager is Fri 19th Jan. Coaching Courses, 2018. Foundation Award (F) will take place for all South West Clubs in Naomh Conaill GAA Club. Friday, 02/02/2018 at 7.00pm – 10.30pm, Child Ethics. Saturday, 03/02/2018 at 9.00am – 3.00pm, Coaching Practical. There will be a meeting on Tuesday 23rd January at 7.30pm in the Parochial House for Readers. There will be a meeting on Wednesday 24th January at 8.30pm in the Parochial House for Eucharistic Ministers. World Day of Migrants & Refugees Sunday 14th January 2018: Pope Francis has asked everyone to respond to the situation of many migrants and refugees fleeing from war, persecution, natural disasters and poverty by actions in deeds and words. A welcoming event for new migrants & refugees is being organised for Sun 11th Feb at 3pm by the Diocese of Raphoe Justice & Peace group in association with the Donegal Intercultural Platform. 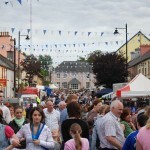 Venue in Letterkenny to be finalised soon. On February 5th, Anam Cara commemorates ten years of supporting bereaved parents in your community. For more information see anamcara.ie or call our Information Line on 085 2888 888. Sincere thanks to all who donated to the annual Donegal Pro-Life Trust Church Gate Collection, total raised was €276.25. Protect the 8th talk and training NW Donegal with Judith Tait, Paddy Manning and Michael Dwyer of Family & Life on Thursday January 25th at Hotel Loch Altan, Gortahork at 8pm. All welcome! Baby Massage: Commencing Mon 15th Jan 18 for 5 weeks from 10:45 am – 12 noon. Book with Eileen on 0877647993. Chair Zumba: Fri 12th Jan for 4 weeks from 2 pm – 3 pm, cost €10 per person for course. Book on 074 9741863. Basket/Creel Making Workshop: Held at the Centre on Sat 20th & Sun 21st Jan 18 from 10 am – 4 pm both days costing €40 per person. Donegal Women’s Centre, Letterkenny have an outreach service at The Niall Mor Community & Enterprise Centre. For details contact 074 9124985. Weekly Walking Group: Every Wed leaving from the Niall Mor Community Centre at 10:00 am, cost is €2 per person and refreshments afterwards. World Meeting of Families 2018: As part of the preparations, a Prayer Petition box will go around each Parish within the Diocese. Glenties will have this from 19th to 25th February 2018. These petitions will then continue to Dublin and the intentions will be remembered during prayers at the World Meeting of Families. Volunteers Needed: 5,000 Volunteers will be needed for the running of the World Meeting of Families. Over 1,000 have already enrolled. Parish groups, clubs, friends or family members may register as a group. Volunteers will have to be Garda Vetted and need two references. For further information and registration www.worldmeeting2018.ie/volunteer. Anam Cara Donegal, an organization that supports bereaved parents, will hold its next monthly parent evening on Thursday 11th January from 7.30pm – 9pm in the Radisson Blu Hotel, Letterkenny. Anam Cara offers a safe and comfortable setting where you can ‘drop the mask’ and be yourself among people who understand. Open to all bereaved parents regardless of the age your child died, the circumstances of their death or whether recent or not. School of Tourism, Killybegs is now accepting applications for the certificate in preparatory studies. This gateway programme to third level study has no fees and is available to unemployed persons, stay-at-home parents, retirees, recent leaving certificate applied students and adults who have been out of education for a long period. The course begins on Tuesday 16th January in the Killybegs campus. It runs 3 days per week, Tuesday to Thursday from 10am to 2.45pm. Email Sean today on sean.duffy@lyit.ie to secure your place in this programme. Tuesday 9th Main Street, Tullyard Road, Dr. Mc Closkey Crescent, Stranaglough, Meenalargan, ard Patrick and Ard McGill. Wednesday 10th Stonepark, Derries, Kilraine, Drimnacrosh, Mullantyboyle, Narin Road, Loughcrillan Road, Letterilly, Maas, Ard Connell, Glen Road. The Glenties Community Playgroup are seeking applicants for a childcare practitioner for a pre-school class. The candidate must hold a minimum qualification of fetac level 5 or equivalent. Also to have experience in special educational needs. Lamh (Irish sign language) is a plus. Have a current occupational first aid certificate to include pediatric training, and one years’ experience of working with young children. The successful candidate will be required to work 3 mornings per week 9am – 12.00pm. If you are interested, an application pack can be received by emailing glentiesplaygroup@eircom.net or by post to the Glenties Community Playgroup Limited, Glen Road, Glenties, Co. Donegal. Closing date for applications is 11th January 2018. Short listing may apply. Sincere thanks from Fr Donnchadh and Fr Gerard for your generous Christmas gifts. Sunday mass: 12 .15 p.m. Notices for the parish newsletter must be submitted no later than 1.00 p.m. Wednesday to Dympna, Parochial House, 0749551117. There was no winner of this week Gaa Lotto; the numbers drawn out were 2-11-18-24 and the 2x€50 went to Majella Boyle, Narin rd and Peter Hanlon, Letir. Next week’s Jackpot will be €10,000. Naomh Conaill Gaa club would like to thank everyone who came out in great numbers to support the Naomh Conaill agm which was held last Sunday in the Community centre Glenties. Thanks to everyone who took on new jobs within the club it’s great to see some new faces added to the Executive. A big thanks to anyone who stepped down in their positions within the club it was great working with you over the last few years.2017 executive are as follows President: Leo Mc Loone (snr), Chairman: Dave Kelch, Vice chair: Martin Shanky smith, secretary: Caroline Breslin, Vice Secretary: Kathleen Mc Gettigan, Treasurer: Patrick Mc Guigan, Vice Treasurer: Seamus O Malley, P.R.O: Paul Mc Guigan, Assistant P.R.O: Eunan Mc Glinchey, Registrar: Murial Hegarty, Assistant Regist Linda Kennedy, Offiga Na Gaeilge: Owen Mc Geehan, Development officer: Terance Gallagher, Coaching officer: Connie Doherty, Health and wellbeing officer: Leo Mc Loone (jnr). Naomh Conaill Gaa merchandise can now be bought online on All sports Donegal Town and O’Neills website. Anybody wishing to receive Naomh Conaill club text messages could they please text your name and number to 0892007785. Naomh Conaill membership is staying the same price as last year adult €40 junior €20 or €100 membership which includes full membership + 4numbers in the club lotto for the year. Donegal GAA Annual Club Pass 2017 As and from the 1st December 2016 CLG Dun na nGall will have an Annual Club Pass for sale for the 2017 Season. This pass will give admission to all **Adult League & Championship matches under the control of Donegal GAA for 2017 Season. The pass has an RRP of €120. Orders for 2017 Club Pass Orders will be taken via email to the County Office from the Club Secretary E-mail address only. Closing Date for Orders from clubs will be March 17th. There will be a registration evening this Thursday (2nd February) in the comprehensive school gym U12s 6-7pm and U10s 7-8pm. Stewards Training Course for new members As advised in correspondence last week further details regarding this course have now been finalised. The course is conducted by the NHSC through Tony McGuinness in Croke Park. Those who intend to take part in this course are asked to attend on Friday evening 24th Feb, at 6.30pm for registrations and refreshments. The training will start at 7.00pm and finish at 9.45pm approx. Saturday 25th Feb Day 2 will commence at 9.00am sharp and will finish by 12.30pm.approx. The venue is the Villa Rose Hotel Ballybofey. 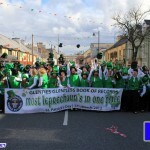 Clubs are asked to submit names to Runai Condae Aideen Gillen by Friday 3rd Feb.